It’s the alchemy of turquoise ocean, golden light and white sand that draws humans to idyllic beaches, where these elements meet and form a magical place of calm and comfort. 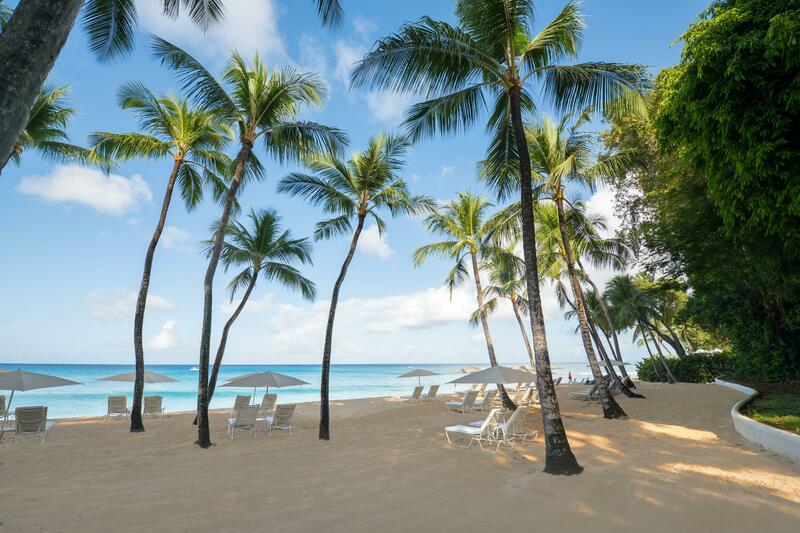 There are few better relaxation spots than the west-facing, half-mile stretch of the Platinum Coast of Barbados. Here, travellers immerse themselves in tranquility at the transformed, oceanfront Fairmont Royal Pavilion. “I recently saw a guest arrive on property, and as she got out of the taxi, I could literally see the stress melt away from her,” says General Manager Tom Lefkovits, who proudly welcomes travellers to an entirely refreshed hotel. A time-tested favorite, Fairmont Royal Pavilion has welcomed guests for 70 years. While old-world formality might be the expectation at such a venerable location, today’s vibe is relaxed luxury and understated sophistication. 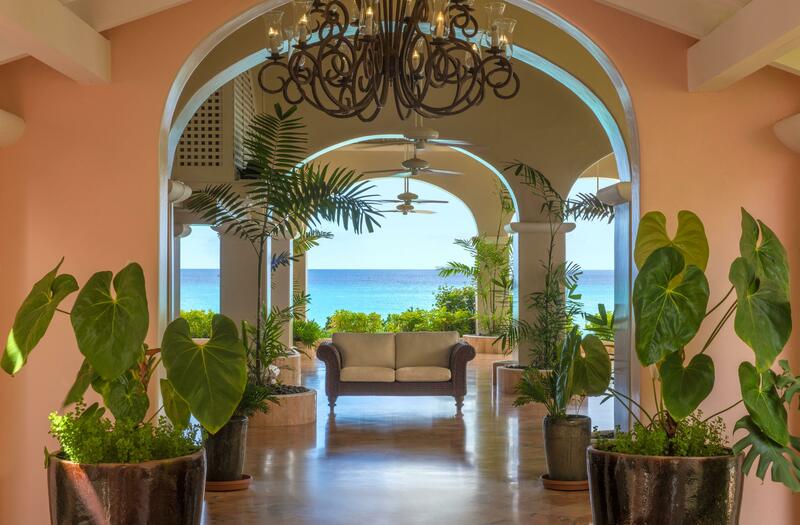 Spacious 11-acre grounds bloom with lush palms and tropical flowers, and Beachfront Suites provide some of the most direct beach access anywhere on the islands. 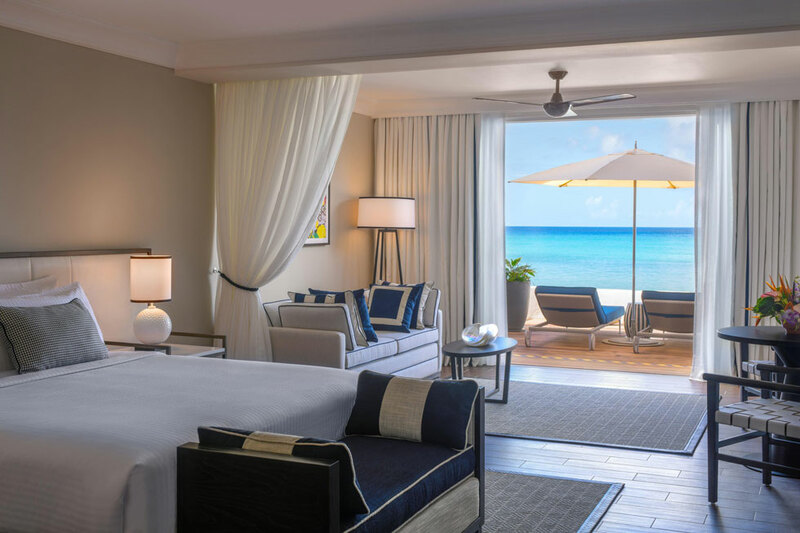 Seventy-two generously proportioned Suites and Oceanfront Deluxe Rooms have been transformed by world-renowned designers Richmond International into inviting oases. Sandy colors and warm woods define the color palette of a renovation that includes state-of-the-art lighting, technology and entertainment systems. Vibrant tropical touches such as teal daybeds in outdoor chill-out spaces mirror the beauty of the surrounding surf and sun. Throughout the hotel, art by local talent Sheena Rose, Lianor Alleyne and Stephanie Moore highlight the warm, rich ethos of Bajan culture. The redesign includes a refresh of the Sea View Villa, the ultimate haven for families and small groups. It’s a three-bedroom, 1,800-square-foot villa, complete with butler, a private 225-square-foot terrace and beach access. The cuisine of Executive Chef Kirk Kirton is yet another reason for visiting this luxurious gem. The Barbadian chef cooked at Michelin-starred London restaurants before returning home and joining Fairmont Royal Pavilion in 2015. His global experience shines through in a lavish weekly Tuesday-night international buffet in Palm Terrace restaurant, including everything from Italian pasta to Japanese sushi, plus fusion dishes with Caribbean flair. 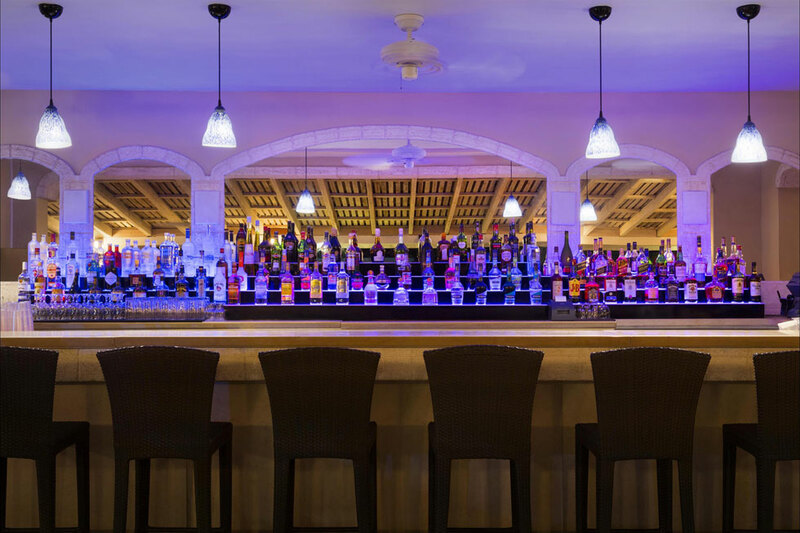 Casual lunches and Beach Club nibbles include coconut-crusted shrimp, tacos stuffed with fresh salsa, crunchy-fried local fish and the hotel’s signature Chop Chop Salad, similar to a Cobb, with island touches of avocado, dried fruit and nuts. 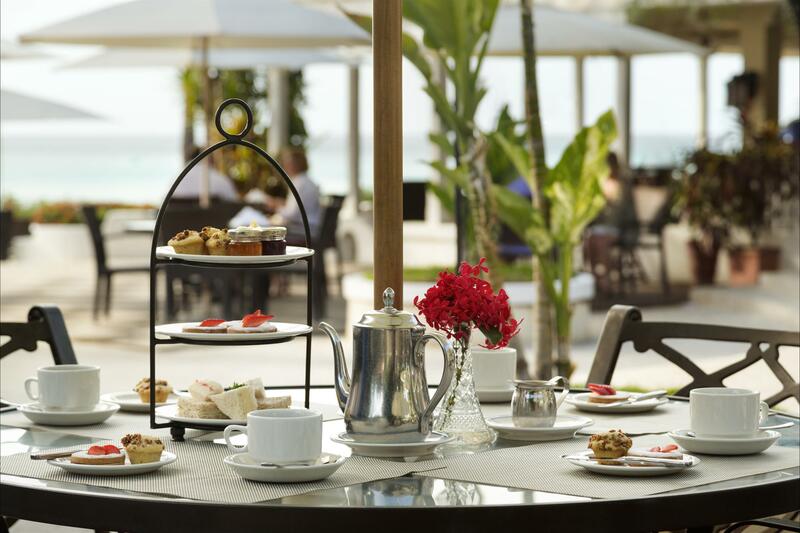 With a nod to the island’s British influence, afternoon tea with decadent cakes and canapés is served daily in Taboras restaurant, offering a unique “England in the tropics” al fresco experience. Even considering the hotel’s many creature comforts, the real draw remains the beach. “Many of our guests have never experienced ocean waters as calm, warm and clean as ours. They will spend the entire day in the water,” says Ryan, a member of the expert beach team who leads the hotel’s non-motorized water sports program, included at no additional cost for hotel guests. Unforgettable encounters while feeding, playing and swimming with sea turtles are just a floatation vest and snorkel away, made accessible for even casual swimmers. “Many of our guests say it’s the best underwater experience they’ve ever had. 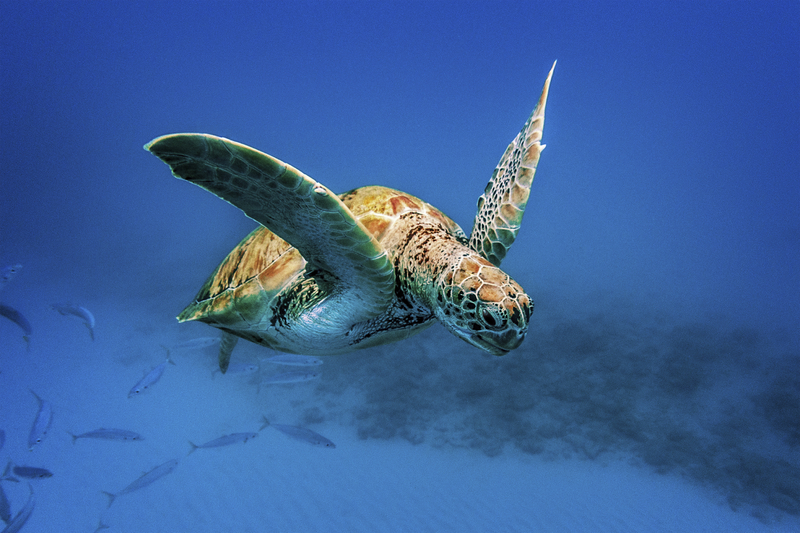 They come back year after year just to swim with our Bajan turtles,” Ryan says. Surfing, windsurfing, kayaking and stand-up paddle boarding are just a few of the other activities available to guests, under expert instruction and supervision. Around a pool furnished as comfortably as an outdoor living room or at the end of a lazy day on the beach, hotel residents can sip a rum punch served on the wooden stave of a rum barrel or mix a bespoke cocktail using dazzling in-room bar sets. The hotel’s bartenders follow an iconic local recipe: “One of sour (fresh lime juice), two of sweet (nutmeg-infused cane syrup), three of strong (Mount Gay Black Barrel Rum), four of weak (ice or water).” For those who want extra immersion into this iconic island drink, hotel staff can arrange tours and tastings at local rum temples, including Mount Gay, the world’s oldest commercial rum distillery, or the vintage plantation St. Nicholas Abbey, reached via a gorgeous drive into the forested highlands of the island. If a quieter, more romantic evening appeals to you, then stroll a moonlit beach and tune into the eternal beat of waves tapping on the sand in a pulse as synchronized as a heartbeat. 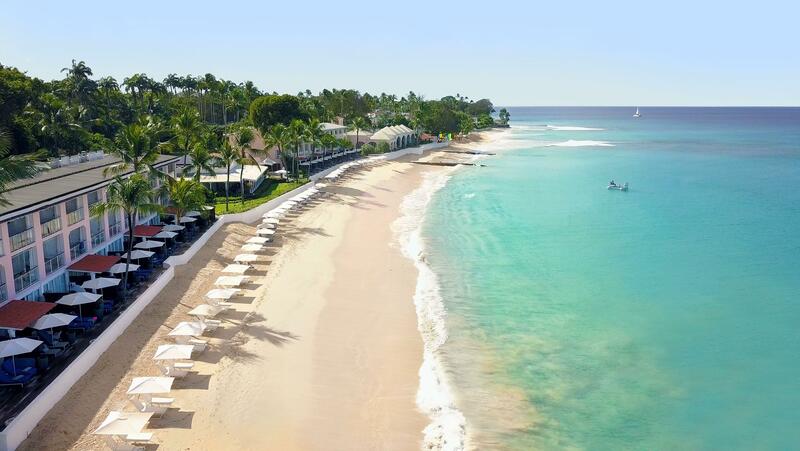 It’s an enticing island rhythm that will call you back long after you’ve left Fairmont Royal Pavilion, one of the tropic’s most luxurious beach getaways. Charlene Rooke is travel, food and drinks writer based in Vancouver, Canada, and a former editor of Fairmont magazine. She has written two travel guidebooks (about Calgary and Vancouver) and has visited more than 55 countries and 25 Fairmont Hotels & Resorts worldwide.